In 2009 PADI announced that all TecRec Courses and the PADI Cavern Diver Specialty could now be conducted using a sidemount configuration. Instructors wishing to teach divers in sidemount configuration during these courses must hold a PADI Distinctive Sidemount Specialty rating or equivalent (for equivalent ratings, check with your local PADI Office prior to the course). This makes sure that they are familiar with the setup, operation and use of sidemount equipment. Instructors are responsible for ensuring that they also have sufficient experience using sidemount equipment at the level they will be teaching. Allowing sidemount use on TecRec courses follows PADI’s philosophy of enabling divers to choose the equipment configuration they prefer based on the type of diving they do and their personal preferences. However, PADI do prescribe certain elements of technical diving equipment and these apply to everyone, regardless of the style of equipment used during PADI TecRec courses. Promoting continuity throughout the technical diving community ensures that equipment needed by other divers in an emergency can easily be located on a fellow technical diver. Standardised configurations enable divers to react quickly when a problem occurs and increases efficiency. During any PADI TecRec course with students in sidemount the instructor will cover the relevant knowledge, describe the techniques and demonstrate the skills required to dive sidemount equipment at technical diving levels. If the group has both backmount and sidemount divers then both configurations will be covered. 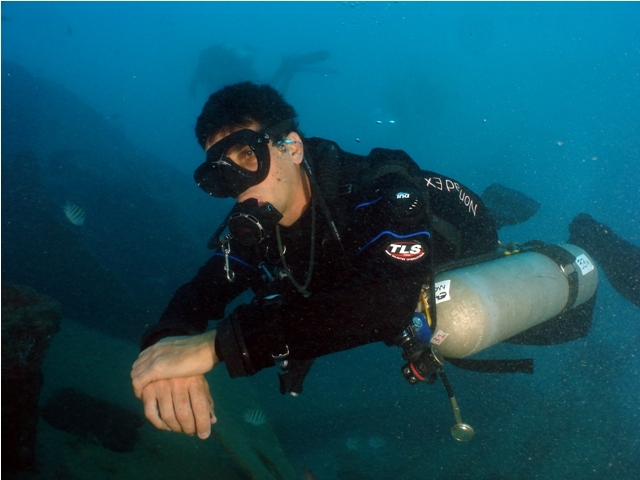 Although there are some differences in equipment configuration, techniques and skills for sidemount and backmount divers the essentials remain the same and core skills for mixed groups can easily be combined. The latest PADI TecRec Tec Deep Instructor Manual has integrated information on teaching in sidemount configuration. For other levels a Sidemount Addendum is available. To obtain a copy of this or if you would like additional advice please contact your local Technical Diving Consultant. Sidemount has really changed the way I dive and teach technical diving. Everybody should try sidemounting but please get training; this will save you alot of time and help keep you safe. I would like to know when PADI are going to have an official PADI sidemount specialty course..? This is a verry nice option for technical courses. I have alredy conduct my technical courses with sidemount and exept me, my students/clients are verry happy too. Here in Greece the Tec Advanced Wreck Sidemount course is an option too. Sidemount is for sure the future. Recently we managed to develop togather with Polish company Eques the brand new model of sidemount harness. Now it no longer high tech cave equipment for extreme exploration. It can be used for deep wreck diving and what is even more interesting, for rec divers backmount instead.